Figure 4-13. Torque converter, exploded view. a. Removal. Remove transmission (para 4-8). (1) Connect a tachometer on the engine. other defects. Replace defective parts as necessary. accelerate engine to wide open throttle. 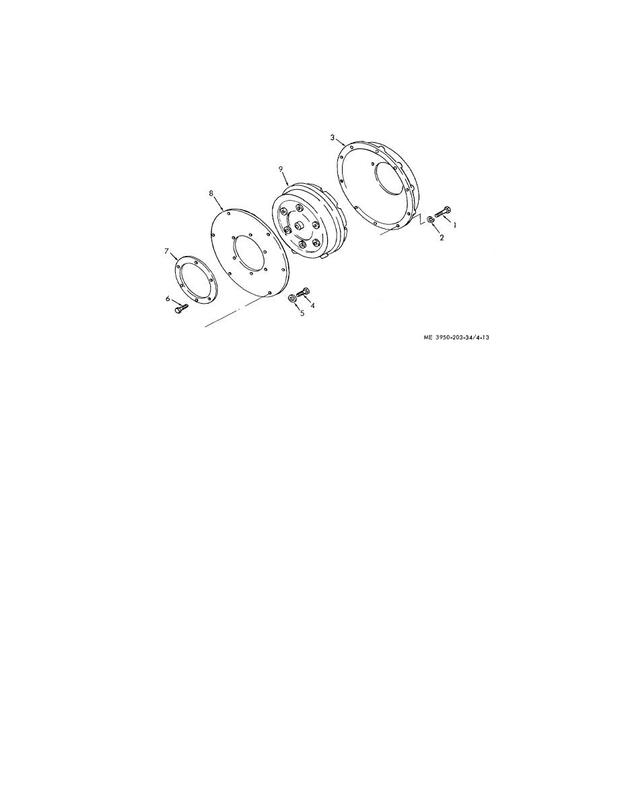 (2) Service torque converter (LO 10-3950-203-12). e. Installation. Install transmission (para 4-8). not operating normally, repair or replace as necessary.